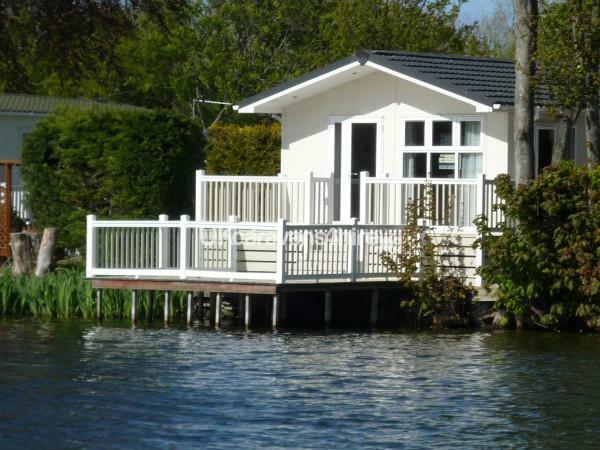 Additional Info: Our luxury Victory Versailles Lodge is situated in a fantastic tranquil area that has spectacular views across the large lake, there is a large decking area with table and chairs dropping down onto a pontoon. The large open plan lounge/dining room has patio doors leading out onto the decking. There is a 40" wall mounted LED T.V. and a D V D player, there are two sofas one of which turns into a pull out bed, a wall mounted flame effect fire and a dining table and chairs. 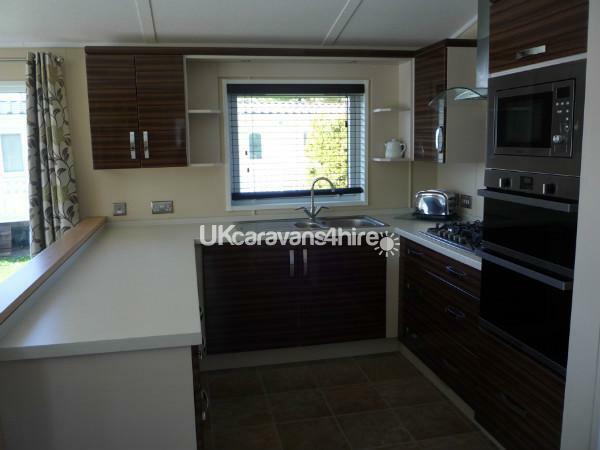 The large kitchen area has a built in oven and micro wave and it also has a dishwasher and large fridge freezer. 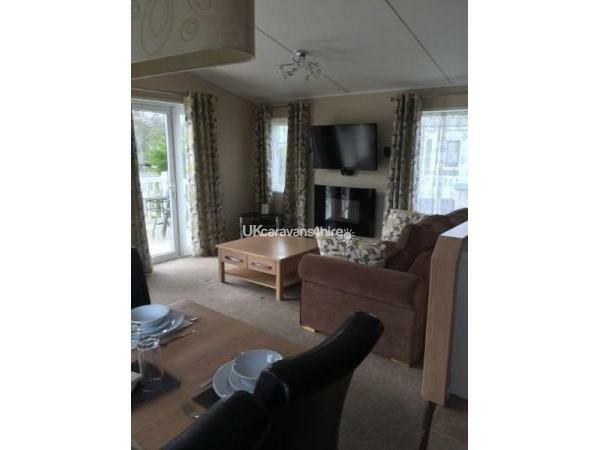 There are three bedrooms, the double bedroom has wall mounted TV and en-suite with shower, there are also two twin rooms both have full size single beds and wall mounted TVs. 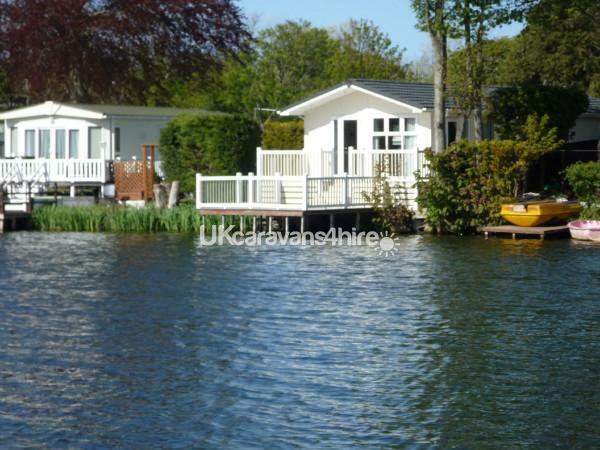 Our luxury lodge is situated on Haggerston Castle. 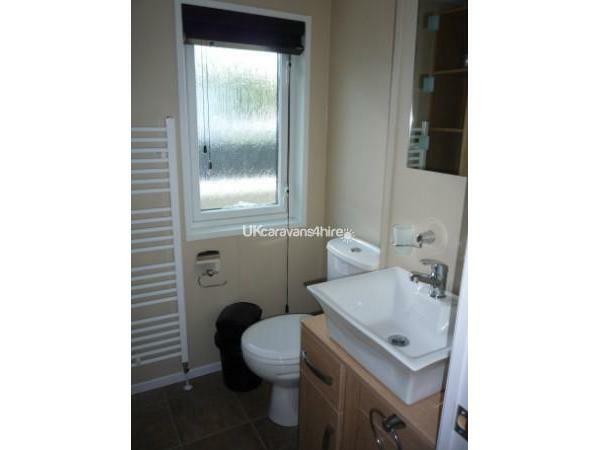 It comes complete with all mod cons including a TV, DVD player and Free-view. The fully equipped kitchen includes a built-in oven microwave, dish washer large fridge freezer, toaster and all utensils pots, pans etc. 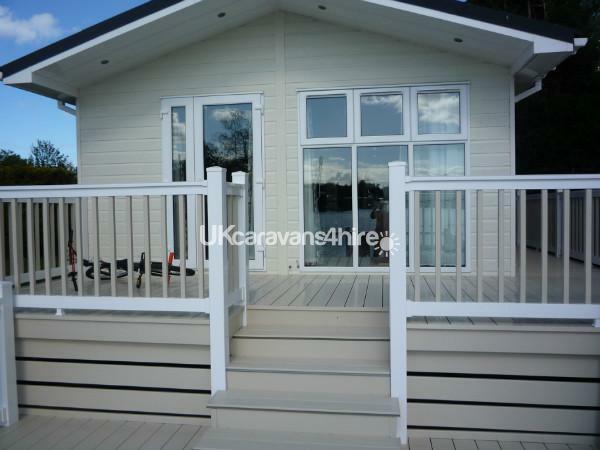 This is a beautiful new lodge which sleeps 8 people in one double bedroom with en-suite with shower and two twin bedroom all have wall mounted TVs, plus a pull out double bed in the living area. We supply an iron and ironing board.. Most dates are available, but these fill up fast. No non-family groups allowed. Additional Info: Haggerston Castle is a 5 star park that provides fun for the full family. On site there is a twin swimming pool, the Mash & Barrel which offers food and the chance of a relaxing drink, and also kids arcade games.